Over the next few years, Southeast Asia is expected to see more foreign players buying into home-grown start-ups in this part of the world. The arrival of international venture capital and private equity giants in recent years suggests that this will be the next growth area for many of the established alternative financiers. Malaysian corporates and high-net-worth individuals (HNWIs) can also play a role in helping local start-ups get to the next level. 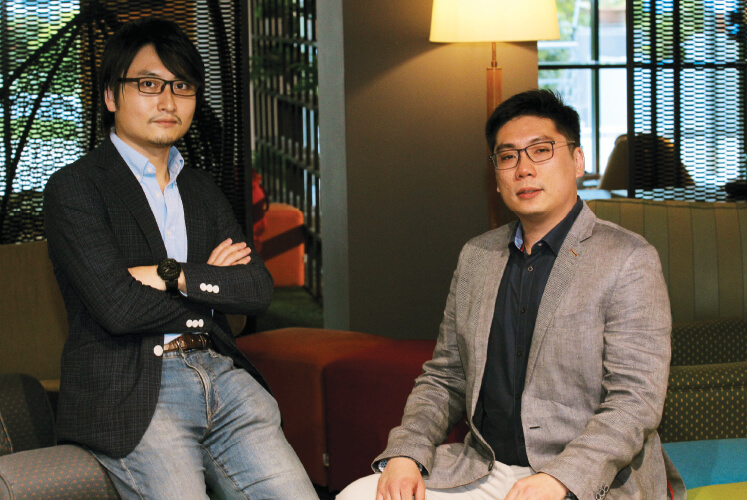 ST Chua, principal of newly formed venture capital firm Sun SEA Capital, believes that it is time for this group to help plug the long-standing Series B (US$1 million to US$3 million) funding gap. He chalks this up to a lack of support, both in terms of the number of financiers in the country as well as the initiatives available. “The ecosystem here in Malaysia has not been very supportive of limited partners. Admittedly, we have the Angel Tax Incentive, but that only encourages the growth of the angel investor community,” says Chua. On the other hand, the Singapore government provides tax incentives to a wider group of alternative financiers. Over time, this has had the effect of attracting promising Malaysian start-ups to the city state for further investment rounds, thus discouraging the growth of home-grown venture capital firms. Plugging the gap will be crucial if local venture capital firms want to take advantage of interested buyers looking for more mature start-ups with a few years of solid growth under their belts. Thankfully, local HNWIs and family offices are responding. “I personally believe that ‘money finds money’. The positive news about local and regional start-ups successfully raising capital has led to local investors wanting to enter the market,” says Chua. HNWIs and their wealth managers have seen the success of Malaysia’s early technology adopters and are now keen to invest at an earlier stage of a promising start-up’s investment cycle. The likes of Grab, Catcha Group, e-commerce giant Lazada and a slew of group-buying companies in the mid to late 2000s have reaped healthy returns for their investors. “There has been interest from private bankers, institutional investors, wealth managers, private equity players, HNWIs and family offices. We have noticed an increase in inquiries from these sources over the last year or so,” Chua tells Personal Wealth. He adds that some wealth managers are considering committing a large amount of their clients’ net worth — as high as 5% to 10% in some instances — to tech-driven venture capital. Recent research out of private equity giant Coller Capital also suggests that private-equity money is moving into Southeast Asia, with a view of conducting buyouts over the next few years. The firm’s end-May 2018 Global Private Equity Barometer found that the majority of limited partners surveyed believe that the region will be an attractive destination for buyouts in the next three years, outstripping other Asian destinations such as China, India and South Korea, as well as Australasia. Sunway Group will officially sign on as an anchor limited partner with Sun SEA Capital on July 3, marking the latter’s official inception. The firm will also partner Singapore-based venture capital firm KK Fund, helmed by founder and general partner Koichi Saito. Sun SEA Capital plans to operate in the pre-Series A to early Series B investment tiers of Malaysia’s venture capital scene. Chua tells Personal Wealth that the firm is working to close a US$50 million fund by June next year. Even so, the fund as it stands is ready to invest. A number of HNWIs have also committed funds to Sun SEA Capital. There is a minimum investment of US$500,000, although the amount may vary on a case-by-case basis, depending on the value the investors bring. One of the reasons for the relatively high minimum buy-in is that the firm wants to control the number of limited partners as it favours a more active engagement strategy. Chua says he aims to return the investors’ initial capital by year five of the 10-year fund. “Subsequently, carried interest (share of investment profit to be paid to the partners) will be returned on a case-by-case basis, depending on the exit multiples we obtain until year 10,” he adds. Although Sunway Group already has a venture capital arm in Sunway Ventures, the addition of Sun SEA Capital as an external entity allows it to have a much wider investment mandate and greater autonomy in its investment decision-making process, says Chua. Saito thinks investment opportunities in the region will revolve around financial technology (fintech) lending start-ups, among others. “The Southeast Asian lending space is very interesting right now. A large number of citizens in the region are either underbanked or altogether unbanked,” he says. “There are no loan interest rate caps in countries such as Indonesia and the Philippines, so the lending space is characterised by huge gaps between banking loan interest rates [where loans are difficult to secure] and illegal loan sharks [where interest rates are cutthroat]. These markets are also bogged down by immature banking regulations and underdeveloped credit-scoring industries, making it even harder for loan approvals, says Saito. Thus, he believes that a well-managed lending start-up or online bank that leverages technology, automation and efficient use of consumer data could provide loans at competitive interest rates. In fact, he thinks the lending space could produce Southeast Asia’s first real fintech unicorn. Sun SEA Capital has also set its sights on other industries to invest in. Chua believes that the online-to-offline (O2O) space in the region will be a key venture capital investment theme. “O2O refers to a product or service that begins online and then transitions offline for the final fulfilment,” he explains. This would allow the firm to consider a wide range of investment themes. Broadly speaking, the O2O business model has evolved from simple e-commerce transactions and last mile delivery to one that attracts consumers online, who then purchase and consume the products offline. The O2O retail and consumer space has only gotten bigger now that large cross-sections of Southeast Asian consumers have access to internet-enabled smartphones. Other areas of interest include media and entertainment, business-to-business solutions and digital health as well as the myriad data-tracking opportunities the space affords. “We are interested in the kinds of start-ups that can solve pain points that currently exist in the wider Sunway Group. Given how diversified the group is, we have plenty of reference points on the kinds of start-ups to look out for,” says Chua.